Credit Suisse wanted an ATS that would enable swift identification of suitable candidates with in-built screening and self-scheduling interview tools. Oleeo deployed a scaled down version of its Oleeo for Campus and Early Careers solution, which is designed to help recruiters with finding, nurturing and hiring the best new talent. 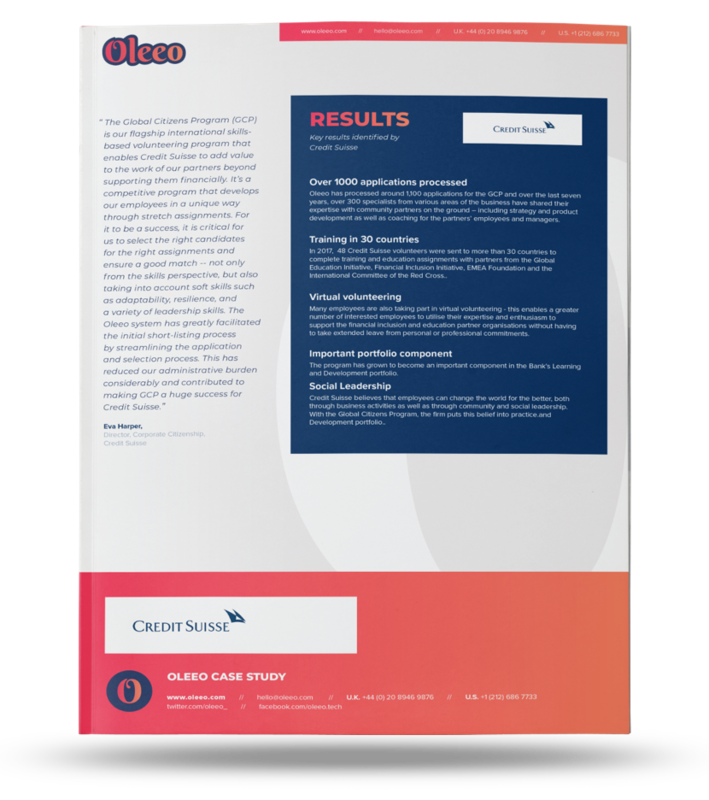 Download our case study to learn more!